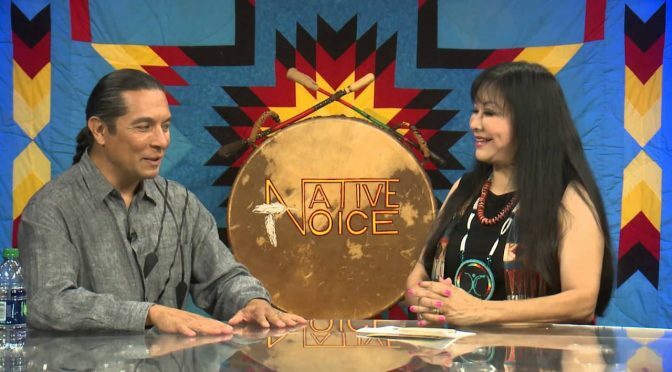 Cihuapilli Rose Amador LeBeau interviews Eddie Madril (Pasqua/Yaqui) of his ‘Dance Group‘ opportunity to represent Native American culture in France on Native Voice TV. Madril shares his experiences in Gannat, France of a 10 day festival, called ‘Festival of World Cultures’. For over 45 years, the South of the Allier has allowed itself a unique cultural celebration with over 65,000 festival-goers. Madril makes note of the similarities of cultures of trying to maintain their identity of themselves through their cultures and traditions. 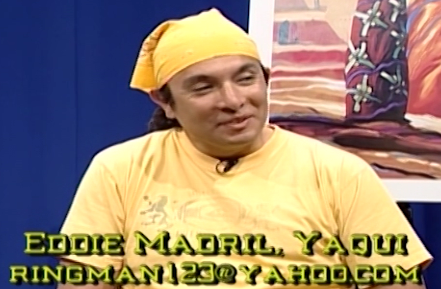 Also how the various people from five continents perceived ‘Native Americans’? This show is very interesting and is a MUST WATCH!. 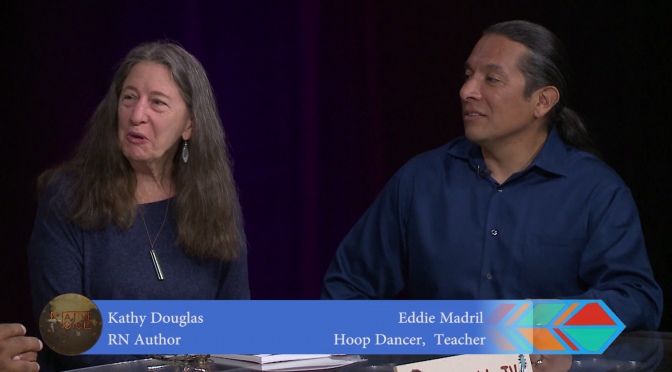 Cihuapilli Rose Amador and Sundust Martinez interviews Eddie Madril (Pascua Yaqui) of southern Arizona and northern Sonora, Mexico on Native Voice TV. of the diversity ‘Indigenous’ people. 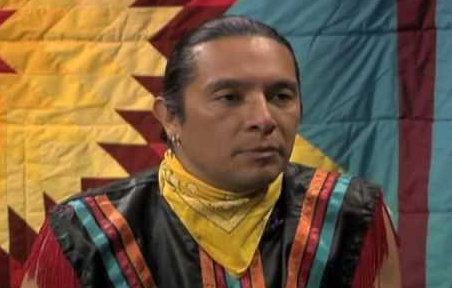 He performs with his ‘HOOP‘ dancing and explains what it means.